Simon Reeve joins some of the UK's leading designers and engineers as they attempt to build ingenious solutions to help children in need. 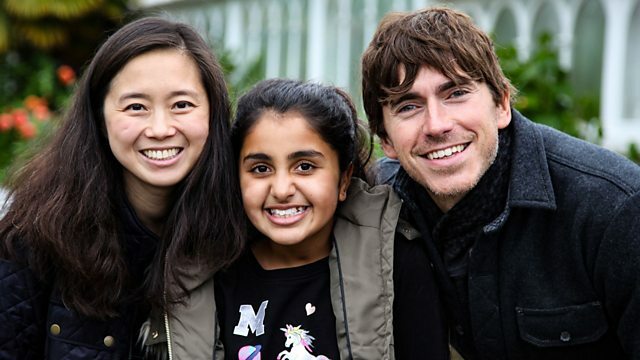 Simon Reeve follows some of the UK's leading designers and engineers as they attempt to help three children with disabilities. Eight-year-old Josh from London has a rare condition called norrie disease. As a result, he was born blind. Can the team of designers and engineers find a way for Josh to play with the other kids in the playground? Eight-year-old twins Ayala and Caira were born prematurely at 25 weeks, with severe bleeds on the brain and holes in their hearts. Caira developed into a non-disabled child with vocal cord paralysis, and Ayala has cerebral palsy. Often Ayala has to sit and watch her twin do the things she'd love to do herself. Can the team find a way for the girls to play together? Three years ago ten-year-old Aman was left with severe brain damage after she was involved in a serious road accident. Can the team come up with a technological aid which will allow Aman to recall her childhood events as well as help her at school? Visit OpenLearn, the OU’s home of free learning, to learn more about engineering. A list of charities and organisations that supported production.